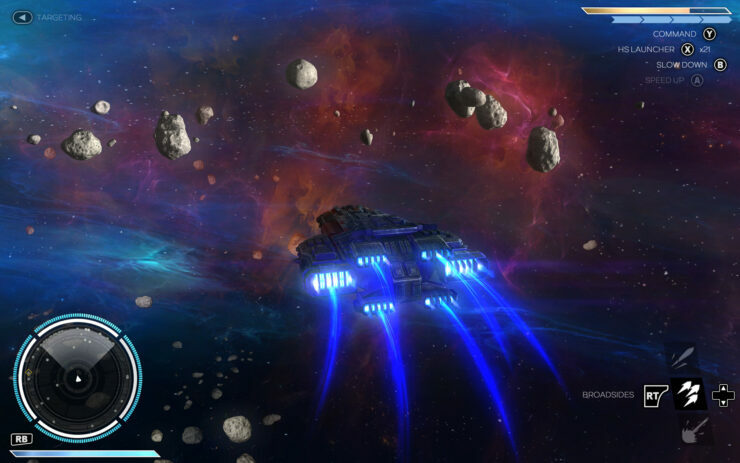 Rebel Galaxy is a space action simulator developed by Double Damage for the PS4, Xbox One and PC and set for a 2015 release. 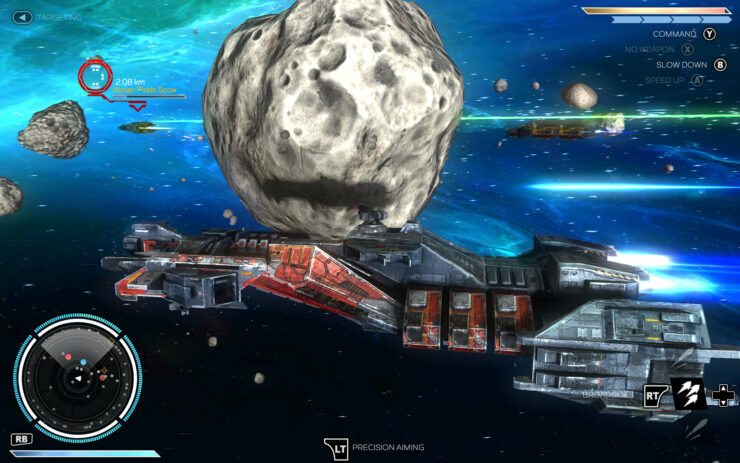 Rebel Galaxy takes place in a massive, randomly generated universe filled with nebulae, junkyards, asteroid belts, and ice fields. No two star systems will ever look the same. Explore. 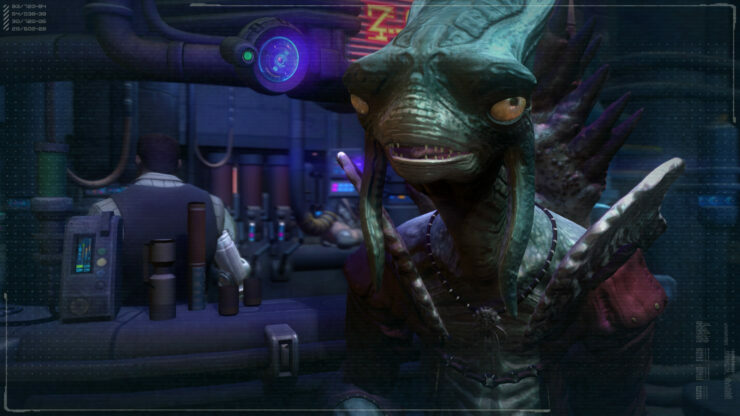 Discover new trade routes. Scavenge from the hulks of derelicts. Mine. Hunt. Protect the less fortunate, or prey on the unwitting. 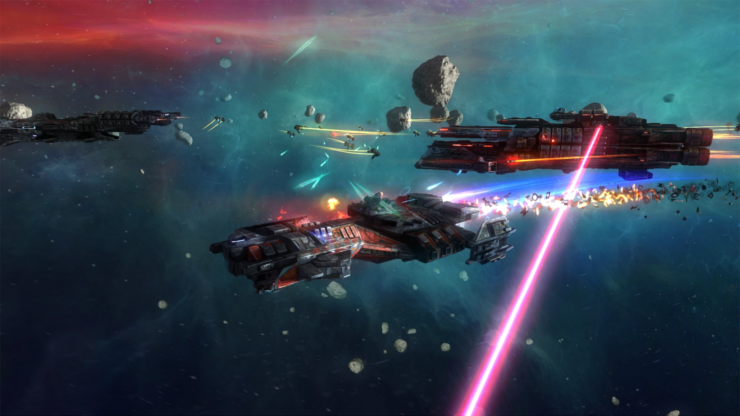 In Rebel Galaxy, you’re in control of an enormous destroyer, bristling with weaponry, firing massive broadside volleys, burning holes in cruisers, and bringing down fighters by the score. Or you will be if you can just earn a few extra credits. Maybe the militia won’t bother to scan your hold. 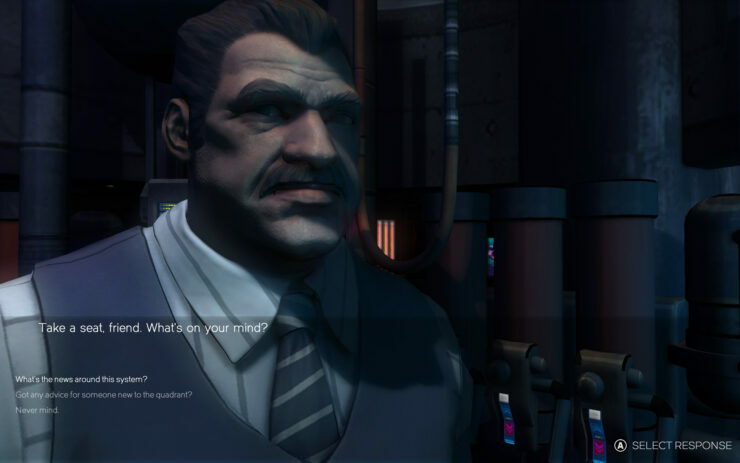 “The storyline is not so randomly generated, that will just flow, mostly linearly. But you’re free to branch off, maybe you have to become a little stronger before you can get back into the storyline, you can just do that the way you want to do. 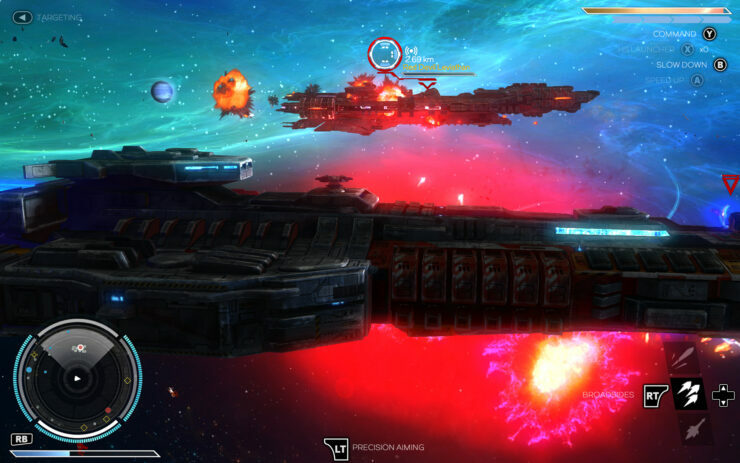 Rebel Galaxy has been characterised as Assassin’s Creed in space. The space combat is quite reminiscent of the naval combat of ACIV: Black Flag, and the control of the ship feels very similar as well. It does indeed make for one exciting space adventure with intense action and some beautiful graphics. 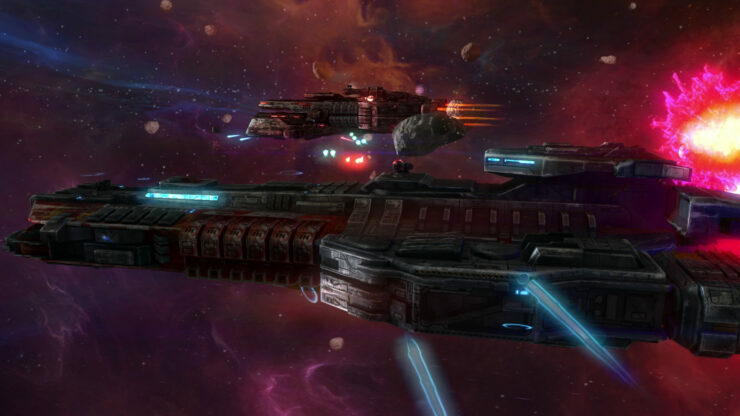 We will bring you any new information on Rebel Galaxy as soon as it becomes available.